Genesis had the highest-scoring color guard in Open Class competition over the last week of the DCI Tour. 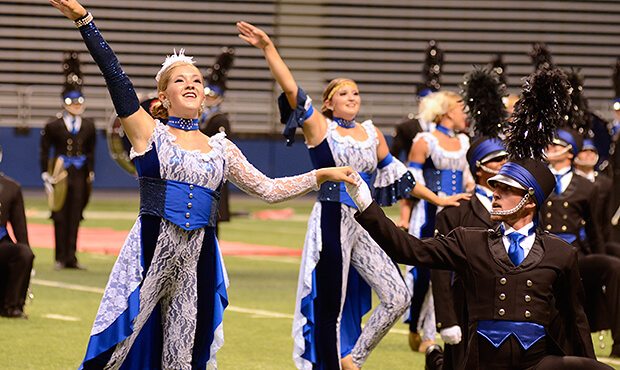 The Cadets eclipsed 90 points with their performance on July 19 at the Alamodome in San Antonio. Early Arrival to 90: Two corps passed 90 points this past week including the Blue Devils (91.300) on July 18 in Houston and the Cadets (90.975) on July 19 in San Antonio. Bluecoats were just 0.15 points from passing 90 in San Antonio, and had they done so, it would have been 12 days earlier than the Ohio corps passed 90 last summer. 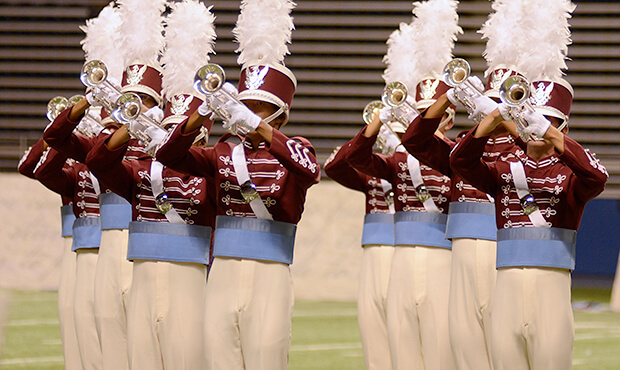 The Cadets and Carolina Crown were the first to break 90 in 2013, doing so on July 22. Higher and Higher: The top 12 corps at the DCI Southwestern Championship on July 19 in San Antonio all surpassed 80 points, up from 10 corps at the same show the year before. The top 13 placements all had higher scores than the equal placements at last year's event. Slowing Down the Concord Express: Blue Devils continued their undefeated streak through the end of last week. They have yet to lose in 17 straight events. The closest competition dialing in their sights on the Devils after last week looks to be the Cadets who came within 0.675 points of the California corps in San Antonio. 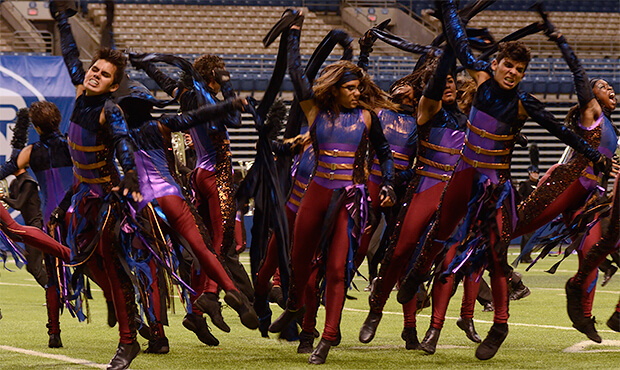 While the third-place Bluecoats were 1.8 points behind the Devils in San Antonio, that marked a solid improvement over just five days earlier when the corps was as many as 3.5 points behind. Better But Not Record Breaking: The Blue Devils' 91.650 in San Antonio on Saturday was more than two points ahead of the corps' winning score last summer at the Alamodome. 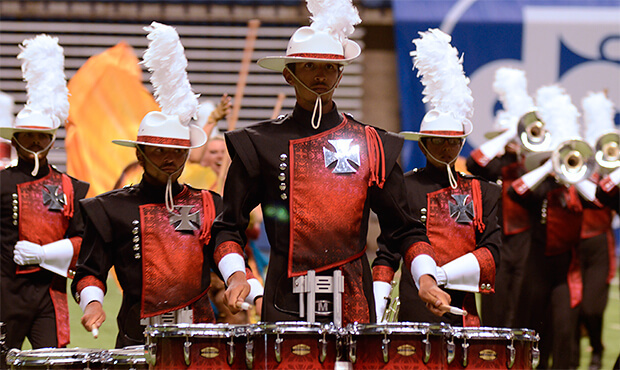 That 91.650, however, is 0.9 points behind the highest score ever recorded at the San Antonio venue, which was achieved by the Cavaliers (92.550) three weeks before winning the DCI World Championship title in 2006. The Spirit of Competition: After Colts pulled off three wins in a row against Spirit of Atlanta, Spirit snuck ahead of the Iowa corps on July 19 in San Antonio by a little under a half a point. Just five days earlier in Lebanon, Illinois, Colts had been ahead by 1.5 points. Crossmen nabbed 12th place in front of a hometown crowd at the DCI Southwestern Championship in San Antonio Saturday. The Academy will perform in Texas, Oklahoma, Arkansas and Alabama before heading to Atlanta on Saturday, July 26.